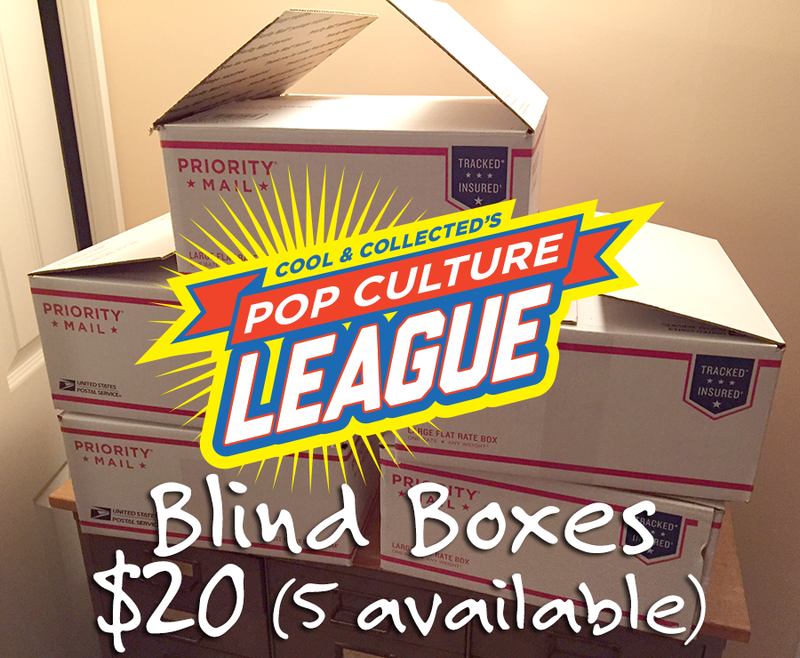 Last week, the Pop Culture League was talking about blind boxes and mystery packs. 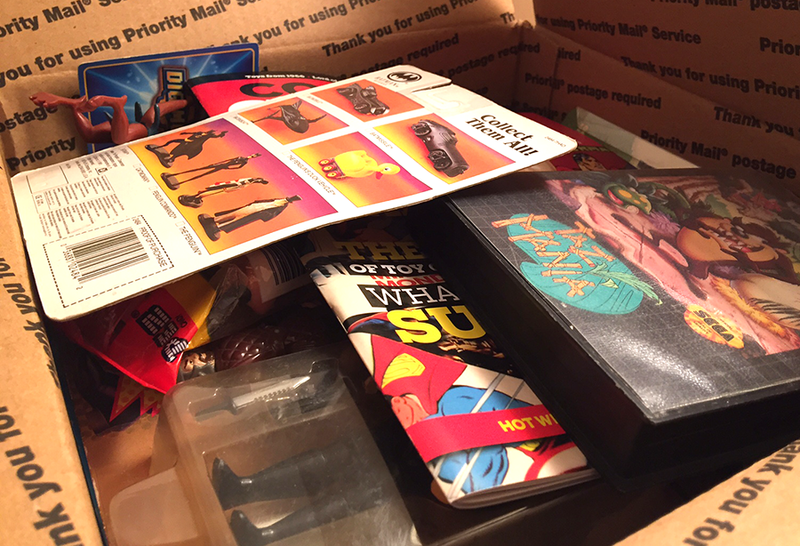 Well, it just so happens that I am in the process of paring down my collection a bit, and am offering up some mystery boxes of vintage toys and ephemera to anyone who has ever taken part in the League at the super low price of $20. I have five of these mystery boxes and they will go on a first come, first served basis. There are no packing peanuts or bubble wrap in these boxes, because there’s no room — they are filled to the brim with pop culture goodness! The monetary value of the contents of these boxes is well over $20, plus that cost covers the shipping charges. So, if you a member of the League, live in the U.S., and want to take gamble on one of these boxes, send me an email and we can work out the details! Wow…these are sweet! Envy those PCL members in the States right now. Would totally get one if not for my physical location at the very other side of the globe Brian…. haha. The postage alone would be a killer for a box that size. Yeah, shipping outside the states is a killer. Sorry.